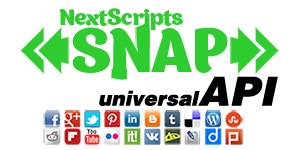 Make quick post to all your configured social networks without making a WordPress blogpost. Quick posts can be posted immediately or scheduled in advance. You can see the history of your posts and edit/repost them. You can also autorepost Quick Posts in Reposter. Just select nxs_qp custom post type in the “What to Post” section. Most Major Social Networks are supported. SNAP has a lot of settings to configure. 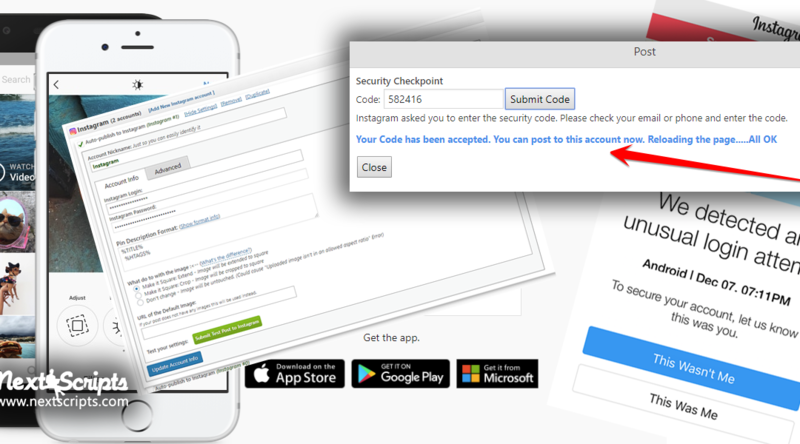 Set what posts go to each network based on categories, tags, type, format and many more criteria. Importing many posts at once? Not a problem. 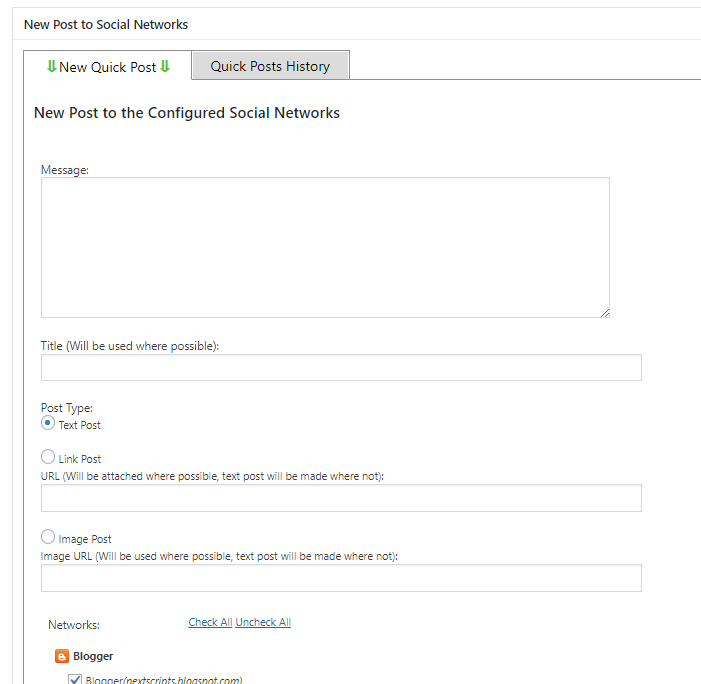 SNAP can query your autoposts and publish them one by one in defined time intervals. 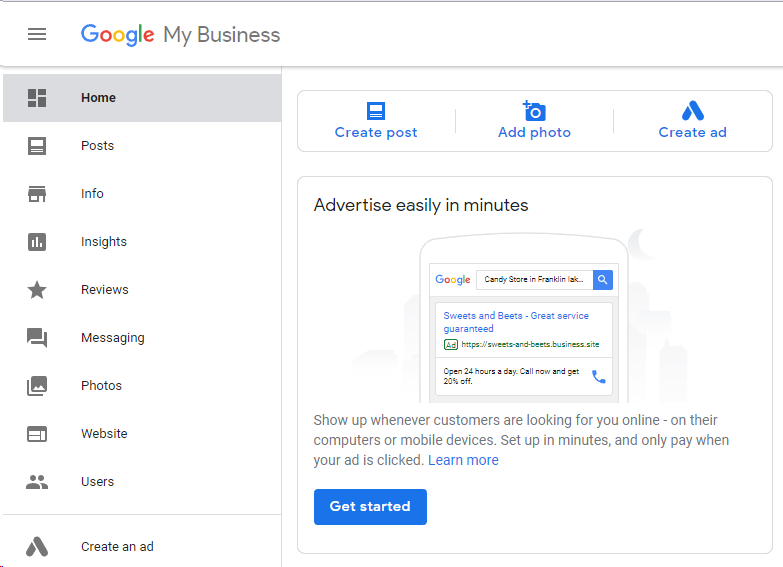 SNAP will automatically post your newly published blogposts (pages, events, products, custom post types) to all your defined social media accounts. Auto re-post already existing posts. SNAP can automatically re-post the already existing posts. SNAP can select specific posts for re-posting using filters. 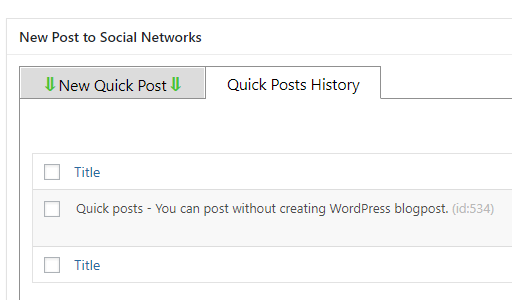 Send a quick post to all configured social networks without creating a WordPress blogpost. 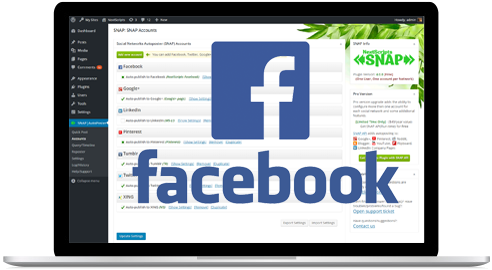 SNAP can autopost blogposts, pages, WooCommerce products, and any other "Custom Post Types"
Format your posts using flexible replacement tags. make text posts, share links, or post images. 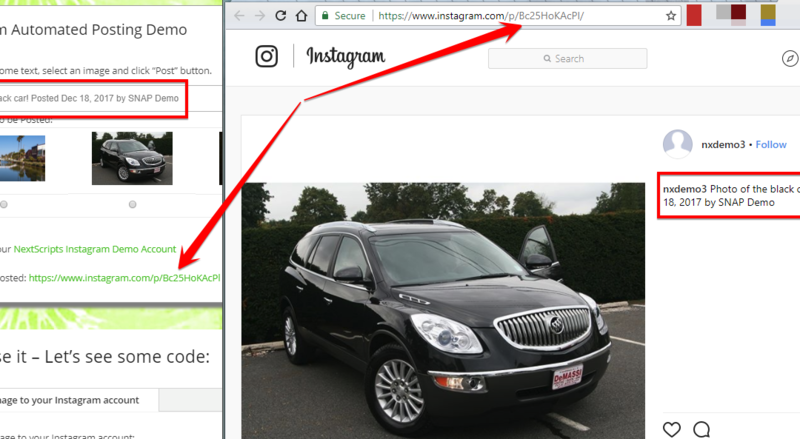 Add additional parameters to the links posted by SNAP.